I have already used my pendrives as bootable windows installation drives and know how to do it. It's an older intenso rainbow stick with an SM3257ENAA chip, and I can't remember to see an option in the manufacture tool. Edited by PSPlover, 02 January 2017 - 01:23 PM. As always how the various settings combine is difficult to say (and the SMI tool is particularly complex) but if the use is that of a Windows Install probably using a CD partition would be more easy. Hello. I have 2 questions. 1. 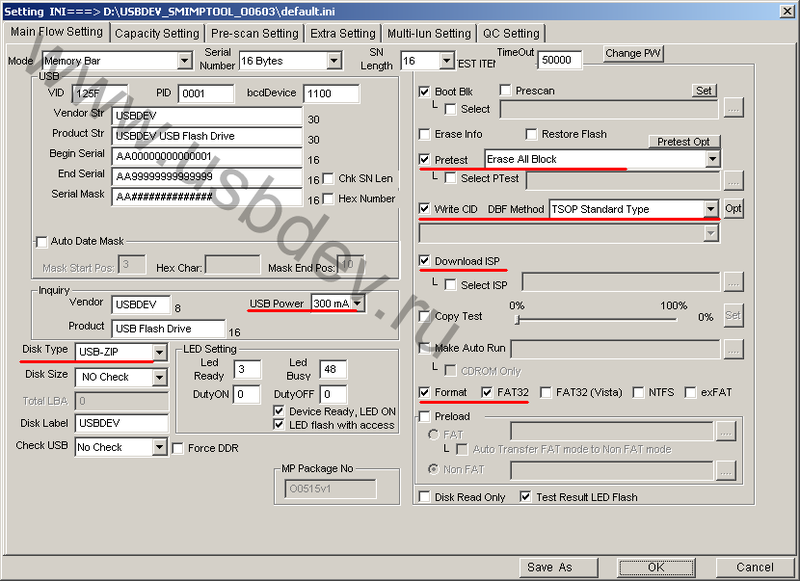 Does this programs can change id-s and serial number for usb pendrive? 2. Does any solution for make usb drive with win PEE, wich are boot only on specific usp pen drive? For example if are on this usb flash specify serial number? Thanks and best regards. Sure they can change (or remove altogether) the serial number. (it is not a good idea to remove the serial, generally speaking as some programs may use it to "identify" the device). The solution to have the PE (or *whatever*) check the serial number and either boot or fail to is not so straightforward (though of course possible). Maybe the check needs to be inserted *somehow* in the Registry. I doubt that any of this is truly write-proof. If someone really wants to write to it they will find a way. Low level disk access may also still be possible regardless of what you do. No, it is truly write-proof or at least "write-proof-enough" as you program the controller to reserve an area of the device as Read Only, there is no "low level" stuff that can change it if not the MP Tool (or of course corresponding commands).